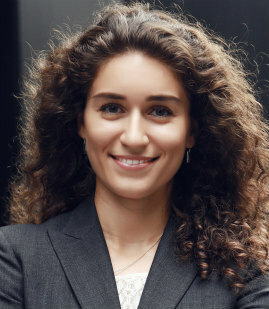 Albina focuses her practice on international arbitration and federal litigation matters involving contract disputes, enforcement of arbitral awards, public international law and jurisdictional issues, including the application of the Foreign Sovereign Immunity Act (“FSIA”). She is a bilingual (Russian, English), dual-qualified lawyer in both common law and civil law, and can help clients orient and navigate in a wide variety of legal systems and jurisdictions. Assisting litigation team bringing claims on behalf of the victims of a commercial airplane hijacking (June 1985) for compensation from Iran under the Foreign Sovereign Immunities Act Terrorism Exception. This matter involves litigation and briefing of all aspects of the FSIA’s Terrorism statute including obtaining jurisdiction over a sovereign state sponsor of terrorism. Represented a start-up company for contractual and non-contractual claims under domestic arbitration rules. Member of litigation team that successfully won summary judgment for health insurance industry client in copyright action involving allegations of infringement of software code.